Hello everyone! 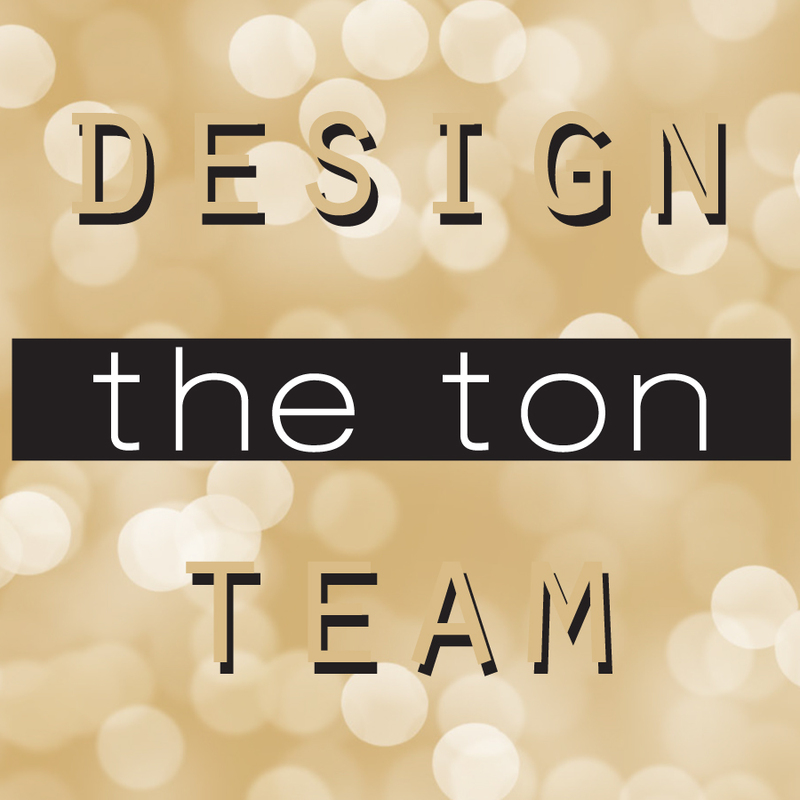 It’s the 1st day of the month and that means The Ton’s July 2017 Challenge is live! For this month, we are playing the Mood Board. Hope you’d join for a chance to win a $50 spree to The Ton’s shop! To participate in our challenge, create a paper crafting project based on the Mood Board you see above. Enter your card by July 31, 2017 by 12:55pm EST. I started the card by stamping the Sweet Macarons, Anemone Wishes, and Anemone Cluster images on a Bristol Smooth cardstock in Versamark. I heat embossed all the images with the Rose Gold Embossing Powder and colored them with Stabilo 68 pens. I was first introduced to these water-based pens by a dear friend of mine, and I immediately fell in love with the vibrancy as well as how easy to use them. I laid the colors towards the center and the creases of the images where I want the shadows to be, and blended out with the Aquash water brushes. When the images were good and dry, I went ahead and cut them out with the coordinating dies. The background panel is from my stash I created the other day with Gansai Tambi and Mijello Mission Gold watercolors. I die cut the panel with the largest die from the (Small) Double Stitched Rectangle Dies. Flushed to the bottom center, I adhered it an a top folding white A2 card base I made out of Neenah 110lb cardstock. Then I adhered rest of the images, some popped up with the foam tape. The sentiment is borrowed from the Summer Blooms stamp set, stamped on vellum in our Noir Dye ink. When the ink was dry, I cut it down to a thin banner and adhered it on the card. I added some (mix) Dew Drops, Fairy Pink Sparkling Clear Sequins, and My Tutu Sequins. And that completes the card! That’s all from me today! Hope you enjoyed today’s project and hope you’d have a ton of fun with this month’s challenge! < Previous Stay Cool For the Summer!